The world-famous Cognac producer Hennessy has a history dating back to 1765 when the company was established by Irishman Richard Hennessy. Initially an eaux-de-vie trading business, Hennessy has gone on to become the most successful Cognac exporter in the world. Today as part of the Louis Vuitton Moet Hennessy Group, the company remains one of the most innovative Cognac companies around. The Fairmont Pacific Rim played host to the Hennessy Prestige Dinner which delivered on its promise of offering unique and rare expressions from the portfolio. The private dinner and tasting were hosted by special guest Jean-Baptiste Rivail, Vice-President, Business Development Americas, from Paris. The intimate event was attended by VIPs, select media, and collectors who were flown in from across Canada for the evening. 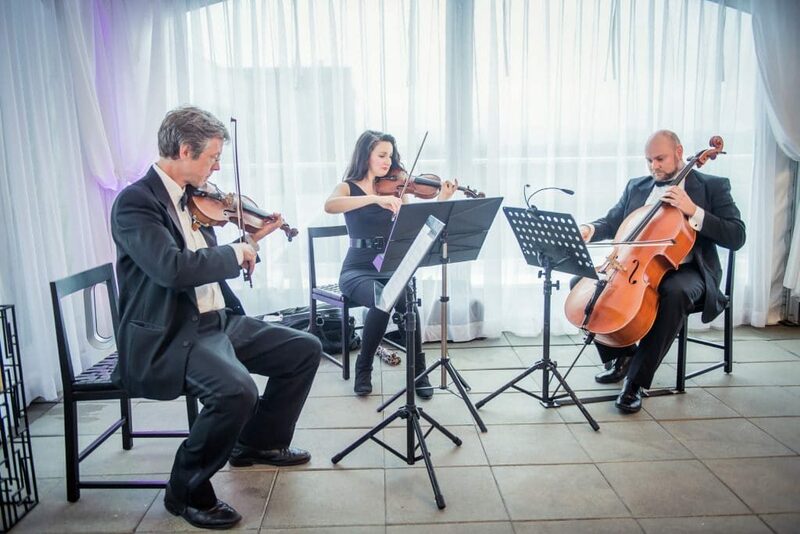 Guests were welcomed by Martine Levy to The Lobby Lounge and ushered to the Prime Minister’s Suite terrace where a string trio played. The first course of Anna’s Burrata and an heirloom salad was paired with the Hennessy Paradis. 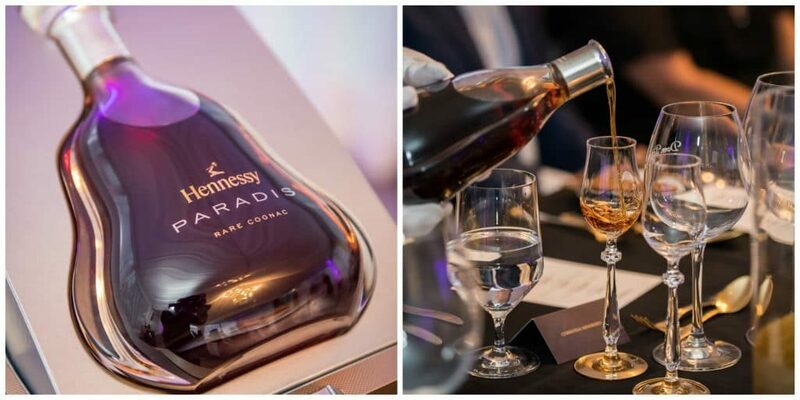 Created in 1979 by Maurice Fillioux and taking its name from the Paradis cellar in the Hennessy Maison, this rare cognac is buoyantly expressed in silky richness, restrained finesse, subtle nuances, vibrant intensity and elegantly aromatic opulence. The newly streamlined decanter and its tulip glass were designed by Ferruccio Laviani. 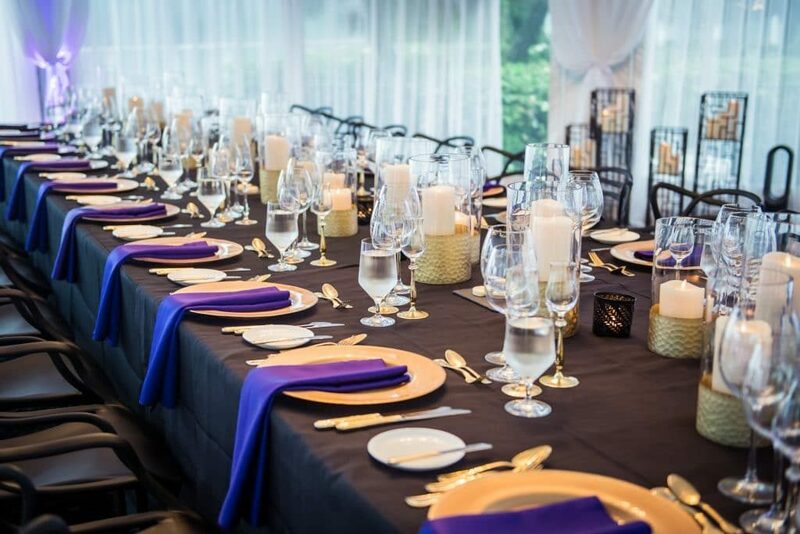 The second course of grilled courgette roulade with delicate chanterelle and morel accents was accompanied by Hennessy Imperial and a Dom Pérignon Blanc. Although Dom Pérignon and Hennessy are part of LVMH, never have they partnered for a tasting, and guests were privileged to experience this unexpected pairing surprise. On the nose, the Dom Pérignon delighted with aromas of almond and powdered cocoa that swelled into white fruit with hints of dried flowers. Classic toasted notes give a rounded finish. On the palate, it instantly traced an astoundingly fine line between density and weightlessness. Its precision is extreme, tactile, dark, and chiseled. The full taste lingered with the utmost elegance on a sappy, spicy note. The third course of delectable ricotta and baby spinach tortellini was accompanied with a rare Dom Pérignon Rose. The intensely flavoured Champagne displayed lush tropical fruit, berry and citrus aromas and a wondrous selection to finish the meal. 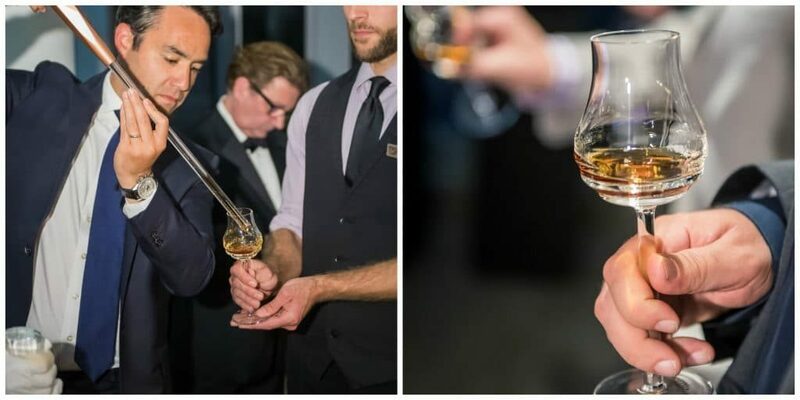 After the meal, guests mingled and reconvened in the salon, where Jean Baptiste Rivail engaged everyone in a Fusil ritual of the highest price cognac ($4,680) presented that evening, the Hennessy Richard. The Hennessy Richard is truly a unique cognac embodying 250 years of history, talent, knowledge, and expertise. It has a beautiful amber colour, deep and warm, and the aroma fills the nose with delicate nuances of flowers, mixed spices, nutmeg, and blanched fennel. The power and depth of the aroma are echoed in the mouth, where spices, notably pepper, play a key supporting role. Then the structure takes shape as leather notes gather, alongside nuts and candied fruits. 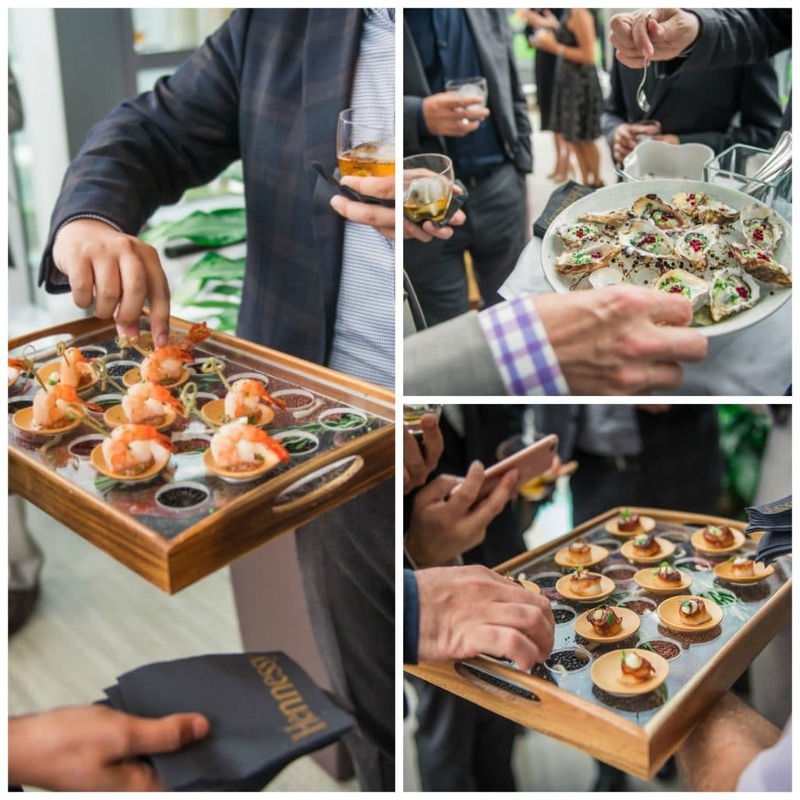 As the mignardises made its rounds, guests relaxed and reflected on the special event they had experienced, and discussed the breathtaking cognac’s they had enjoyed over the course of the evening.